Business is extremely competitive these days and you need to take advantage of any opportunity where you think that you can get an edge on your competitors. 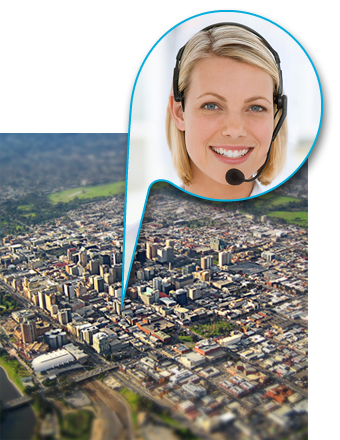 Signing up for a telephone answering service from VirtualOffice.Melbourne is a great way to gain an advantage over your competitors. Test out our world class receptionist service. What do you have to lose? Having a telephone answering service for your small business makes really good financial and business sense. Not only is it a cost effective way to handle all of those incoming calls but it also gives you back a significant amount of time that can be used to focus on building your business. How many times during the day do you receive marketing calls or calls that are simply asking for your email address or physical address. You can be right in the middle of a complex task and you have to put everything down to focus on a relatively insignificant task. With an efficient phone answering service you can divert all of those time wasting calls to our professional receptionists who can weed out the telemarketing calls and the irrelevant calls and forward the important calls to you to action. We genuinely believe that using our service will give you a competitive edge. Here are a few more reasons. Technology has changed the way that we work in business. The cloud has opened up a lot of opportunities like virtual reception services that can really benefit your business. Our receptionists are all locally based. Unlike many of our competitors we believe in keeping our receptionists local as we genuinely believe that it significantly improves the experience our customers get from our service. The service is really affordable. Compared to having your own in house receptionist the cost is significantly lower. Many of our customers spend between just $50 and $100 per month. Using our telephone answering service means that you are not tied to one location like your office or workshop. You can take time out to have lunch with the family while being confident that your calls are in good hands. We can have you set up in minutes and we can be answering your calls minutes after that. Our systems are really intuitive to operate and you can log in and change things at any time. When we answer your calls we greet your customers with a personalised greeting that has been agreed with you. You can change your greeting at any time by either logging into your account or by giving us a call. In these competitive times you need to look for ways to get an edge over your competitors. Phone answering services are a great way to get that competitive edge for your business. Our professional receptionists can forward your messages to you via email or via SMS. These days with the majority of people using smart phones we find that most customers use the email option. Do I need to give you all my calls? No, we can handle as much or as little as you want us to. Some customers use us for all of their calls while others use us for overflow work. It is all up to you. How do you get the calls? It is all quite straight forward. Once your account is active you will be allocated a unique phone number. You then redirect your existing number to this number and we start answering your calls. We don't believe in locking people in to long term contracts. We have over 4,000 business customers and they stay with us because we provide a great value service.